The Let’s Walk project is mapping walk routes for women in particular, so they can meet and walk with other women in their neighbourhood every day. Let's Walk today! 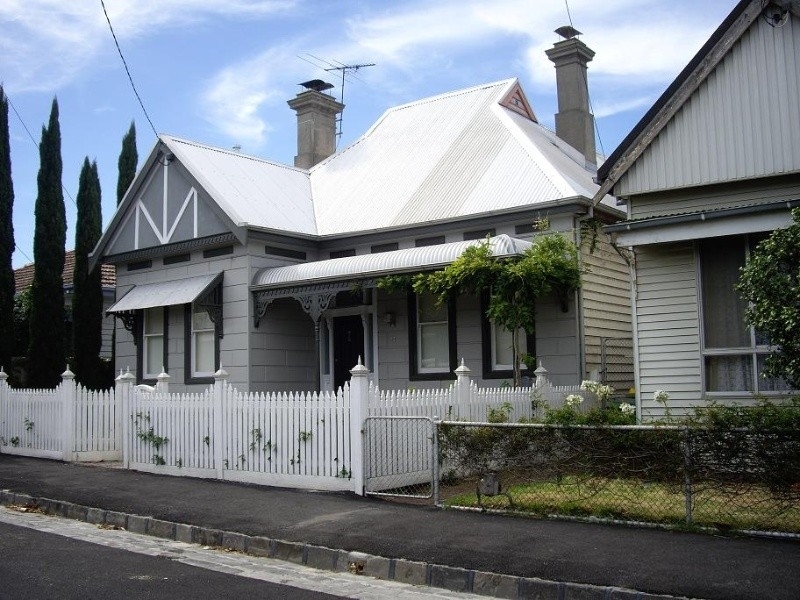 When walking around the Angliss area of Footscray you will find the Newell Street Historic Area, featuring the house of former Footscray Mayor, Cr David Newell, built in 1875. 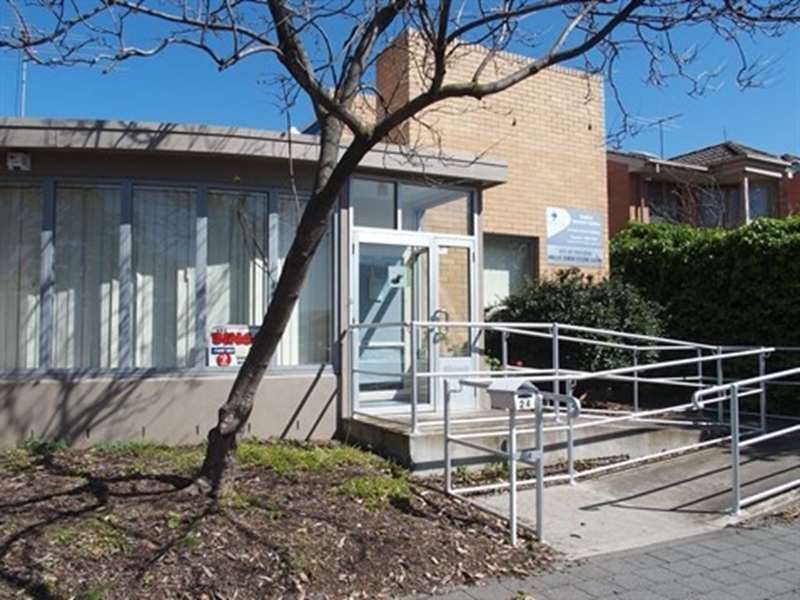 You will also find the William Angliss Worker Housing Precinct, the best known example of worker housing groups erected by an employer in the region. They are now the sole built reminder of the important Angliss meat complex. Although mostly renovated, a collection of the Edwardian houses remain with many original features still intact. William Angliss (1865-1957) was a butcher and exporter of frozen meats. A courageous business man, he became a key figure in the Australian meat export trade in the early 1900s. 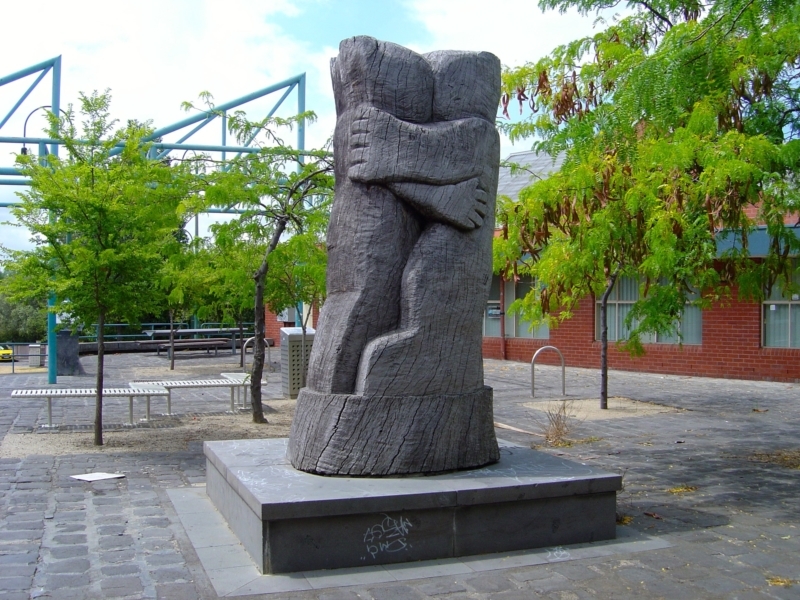 George Seelaf (1914-1988) is honoured by Seelaf Square and Seelaf Park situated between Vipont and Greer Streets. His contribution to advocating for workers to work hard but to enjoy their leisure time through creative pursuits. 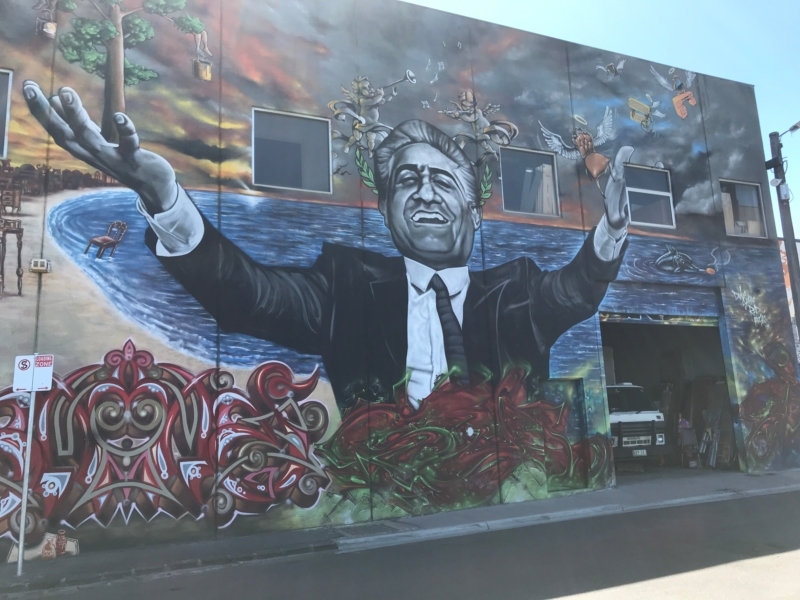 Culture for all was vital to him and he was a Footscray Arts Centre founder. On your walk you will find opportunities to admire sculpture, street art and architecture. Hopefully you will have time to stop and rest or play at one of the playgrounds. 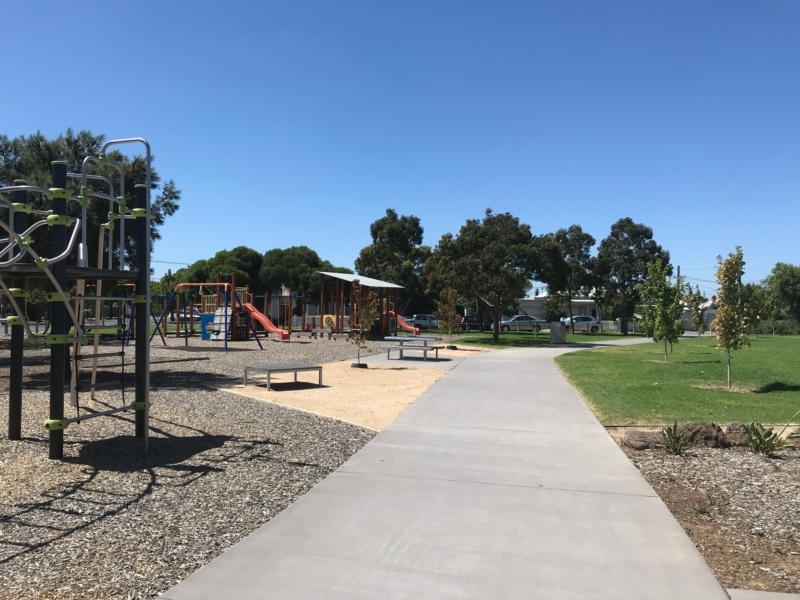 Or find out about community opportunities from the Angliss Neighbourhood House, The Angliss Children’s Centre or the Senior Citizens Centre along Vipont Street. George Seelaf (1914-1988) was a popular trade union leader and community activist in the Australasian Meat Industry Employees Union. Two figures are seen here in a strong, unifying embrace. 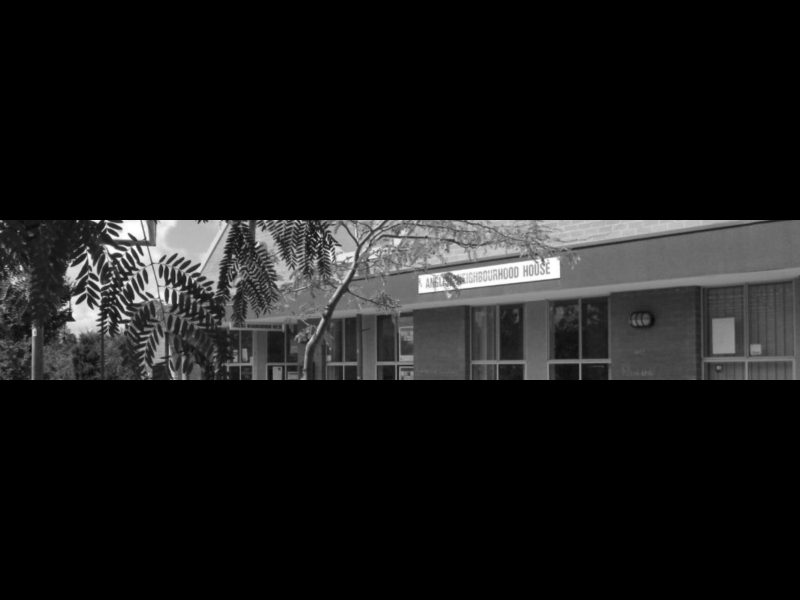 Angliss Neighbourhood House provides a range of programs, classes and activities for local residents and the wider community. It involves people from the community in all aspects of these programs. In 1875, David Newell, twice Mayor of Footscray, built the first home in the area, a stately Italianate villa. 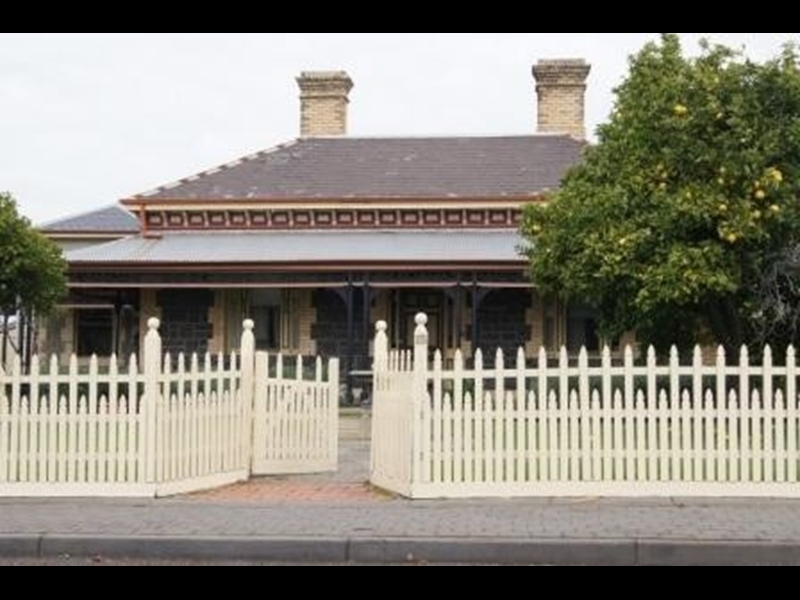 This private residence is reported to be the oldest house in Footscray. A great place with train spotting, city views and equipment to challenge climbers in training. Enjoy the shady trees at the corner and bring some food for a picnic and a family game of cricket! Cozzo is best known for the establishment of "Franco Cozzo" furniture in the city of Melbourne, Australia. His furniture chain started over 46 years ago and is now for sale for $7,000,000. 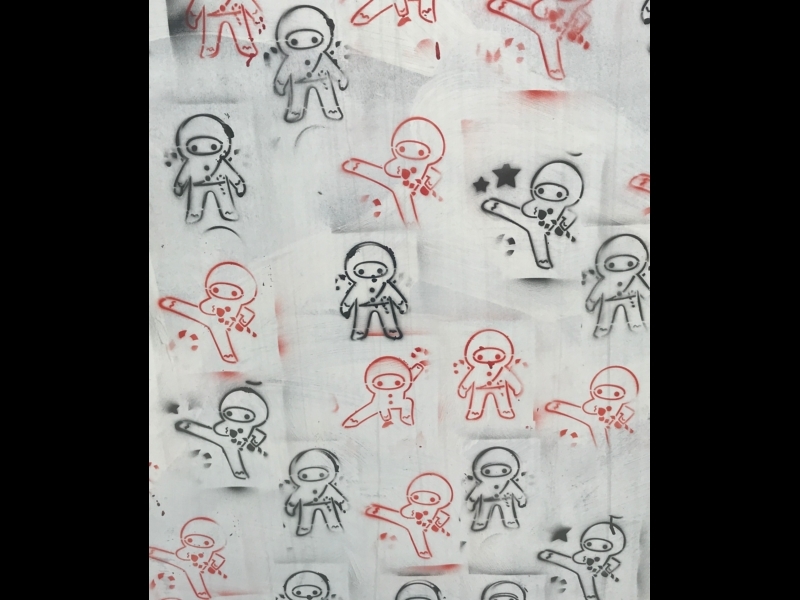 Electricity sub-box decorated with Little Ninjas stencil art brings fun to the neighbourhood. Sir William Charles Angliss (1865-1957), butcher, meat exporter and pastoralist constructed 26 five-roomed timber houses for rental to workers in his nearby meatworks between 1912 and 1913. Senior and social groups such as Croatian Seniors Group, Footscray Senior Citizens, Filipino Elderly Get Together, meet here regularly. 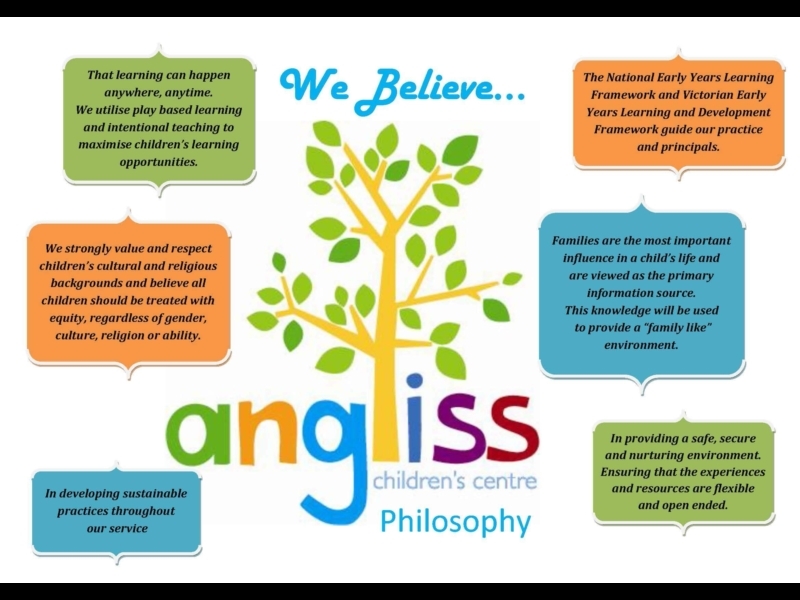 The Angliss team provides safe, challenging and stimulating programs that aim to develop each child’s own self worth and respect for each other as individuals within all developmental stages.